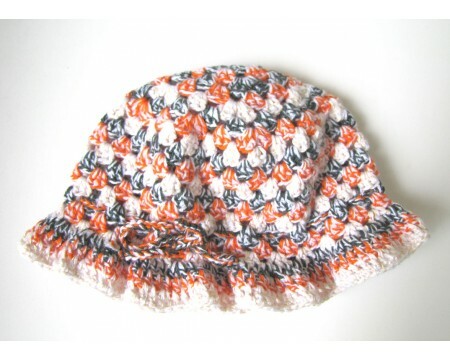 This crocheted cotton cap is perfect for a hot summer day. It is orange and green with a tie to make it adjustable. It measures 14"-18" around head and 6" from top to bottom. Fits a 0-3 years old baby.